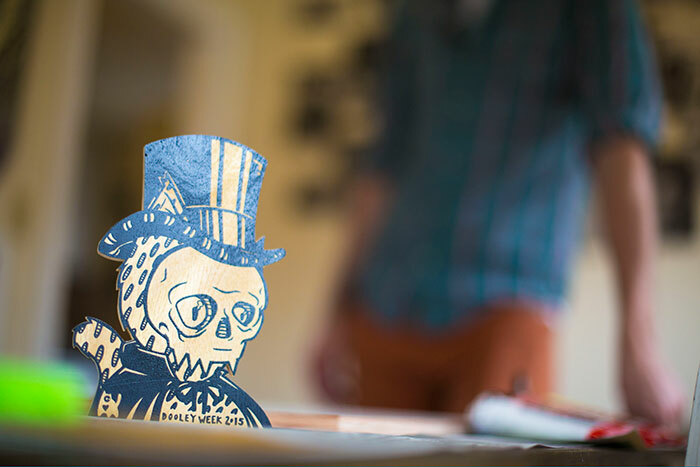 Custom made "Dooley cats" by popular street artist Catlanta will be hidden on the Emory and Oxford campuses March 23-28. A finished Dooley Cat perches proudly on the artist's workspace. 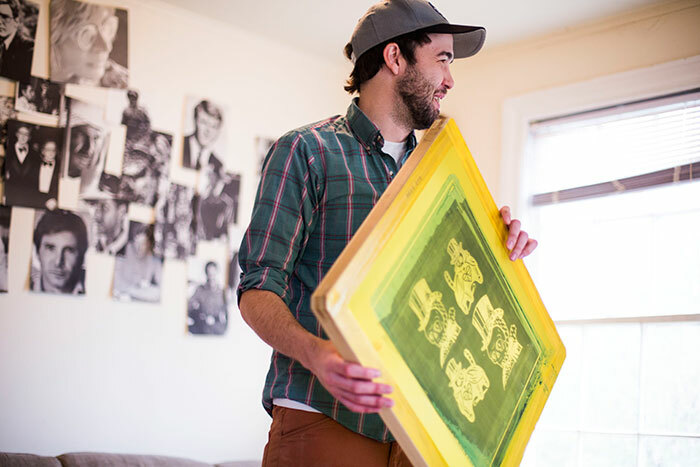 Rory Hawkins, the artist behind Catlanta, holds the print screen of the Dooley cats in his East Atlanta house. 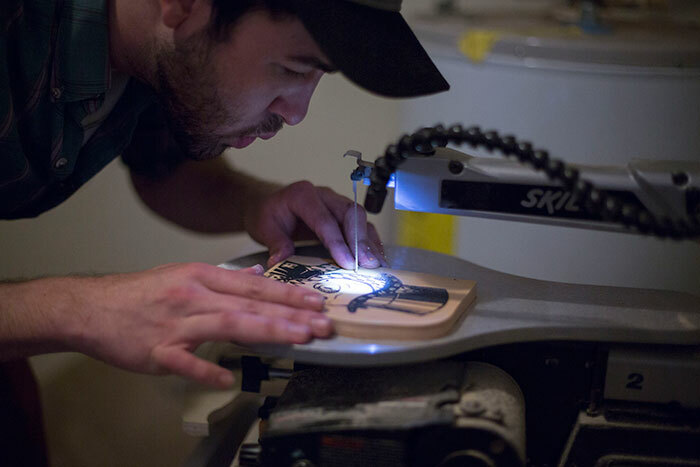 The #DooleyCat designs are transferred to a print screen, which Catlanta paints onto wood. 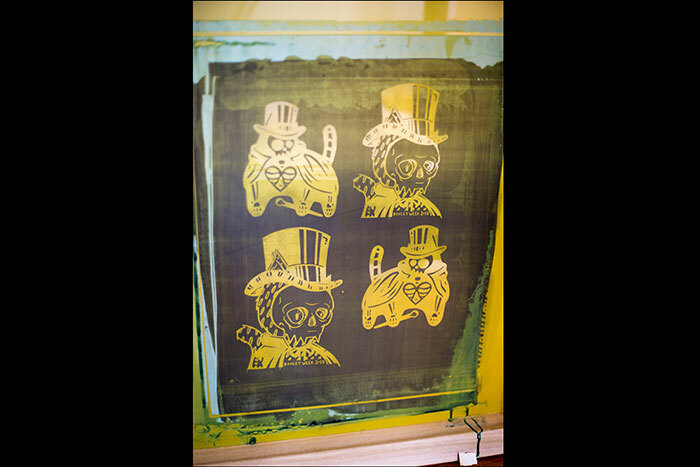 Catlanta screenprints #DooleyCats onto pre-painted wood before cutting. 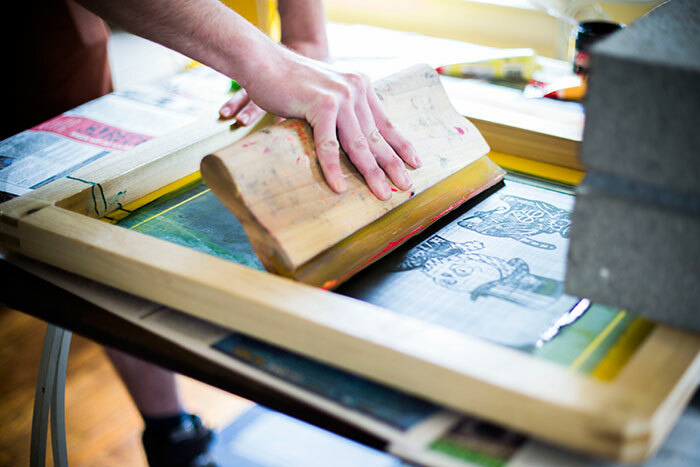 Catlanta cuts the #DooleyCat in his East Atlanta laundry room. 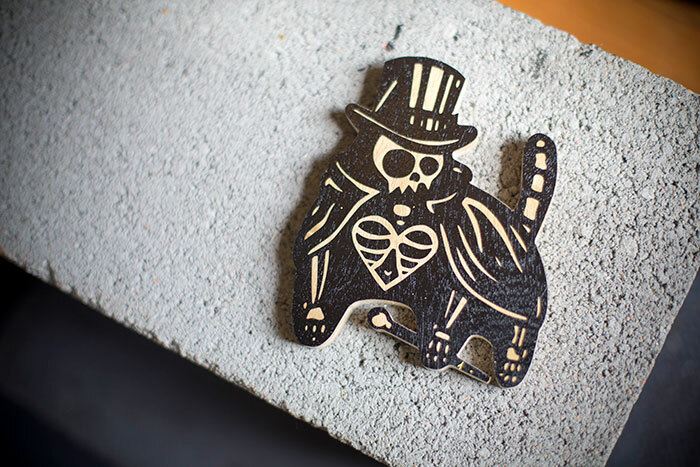 One of Catlanta's Dooley Cat designs sits on a cinder block he uses during production.